Prospective college athletes are not required to do much differently than the “average” undergraduate applicant. However, the timetable they are working on is much shorter and hence, does not allow much room for error. 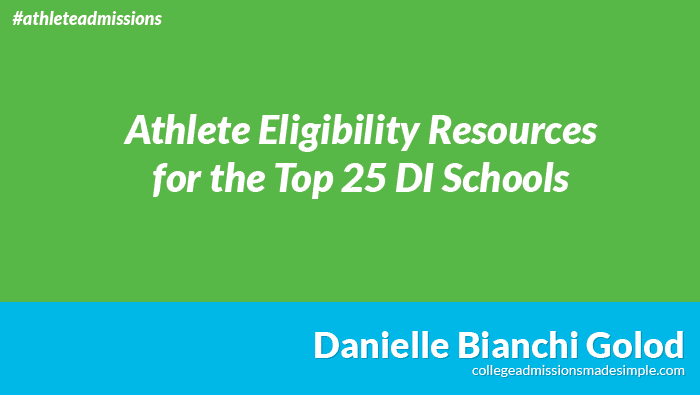 Most parents of prospective college athletes already know this, but many do not. This page contains links to articles designed to help parents of prospective NCAA athletes.